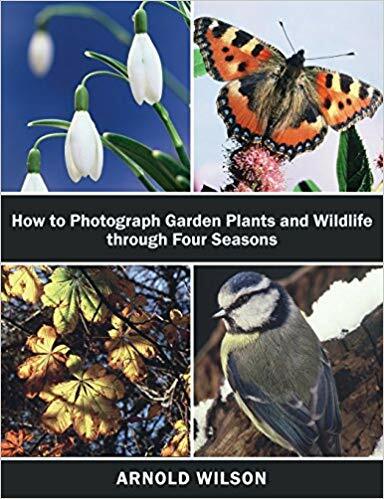 The ideal book for the amateur photographer who has a reasonably sized garden and wants to capture the changing fauna and wildlife through the seasons. The author has written several books on photography and I expect they all start, like the first seventy-two pages of this one, with an explanation of how a camera works, the various controls, basic equipment you might need, lenses, lighting, color and composition. This is written, as is the rest of the book, in an easy to understand conversational style. The book is printed with a 200 screen on a nice matt art but unfortunately the paper is a bit too thick for the book's dimensions which prevents it from opening flat and it created a minor annoyance while I was reading and looking at the photos.